Orava Castle was most likely built in the first half of 13th Century because first written record about the castle comes from this period. 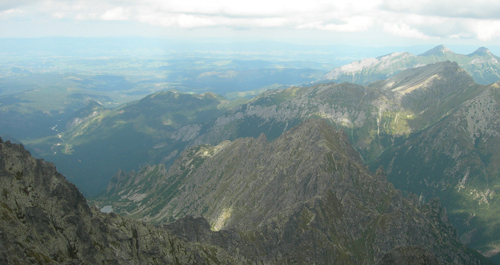 It was built as a defence to guard important merchandising route between Poland and Hungarian Empire. Originally it was made of wood but later after Turkish attacks the castle was reconstructed and built from stone. 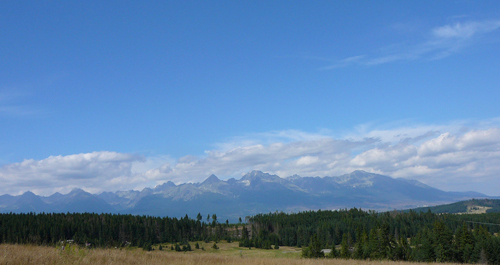 In 1307 it became an estate of Orava’s aristocracy. It was owned by Matthew Csak of Trencsen, Matthias Corvinus, Thurzo family, Charles Robert, Jan from Dubovec, Ctibor from Ctiborice and others. It was reconstructed during the ownership of Palfy family, Thurzo family and Jan Corvinus. In the second half of the 15thcentury the late gothic palace called Corvinus Palace was built by Matthias Corvinus. 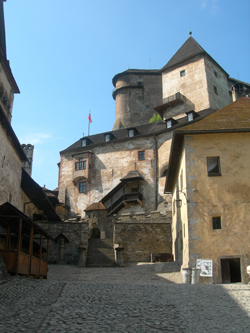 In 1524 Orava Castle became the ownership of Jan from Dubovec who also had another palace built. 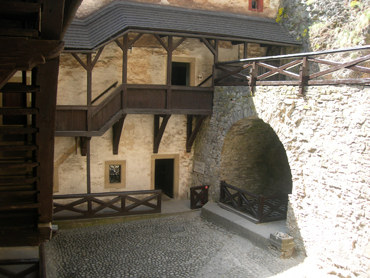 Jan from Dubovec did not have any children and after his death, the castle became possession of Thurzo family in 1556. In 16th century two new buildings were added to the castle. George Thurzo who was dedicated protestant built also chapel. In 1800 Orava Castle experienced large fire, which lasted for 2 weeks. All wooden parts of the castle except from one burnt down. One wooden ceiling survived the fire because it was protected by 5 metres thick walls. In the first half of the 20th century the castle was renovated to look like it used to in 1611. 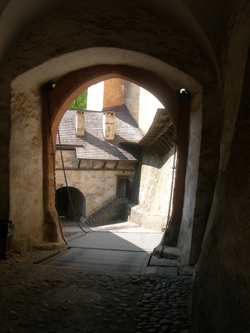 In 1868 museum was created inside of the Orava Castle. Portrait of creator of the museum is displayed in exposition of castle’s pictures. 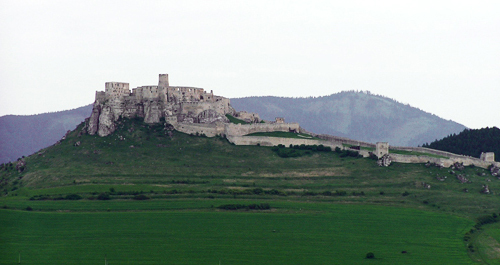 The last owner of the castle was forced to give it up and Orava Castle became the ownership of the state. You will enter the castle through two separate gates. The second one is with drawbridge, which was built by Jan from Dobovec. Here you can meet castle‘s guard dressed in traditional costumes. Follow the stairs which will allow you to get higher and higher from one palace to the next; highest one situated 112 m above the Orava River. There are more than 300 stairs. However don‘t worry, you don’t have to walk them up at once. 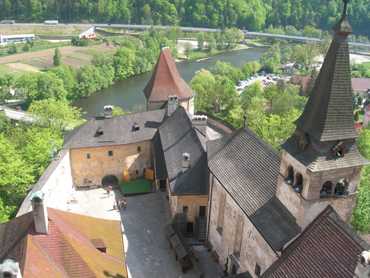 The tour round the Orava Castle takes one and half hour. Juraj Thurzo, the most famous owner of the castle built castle’s Chapel because he was dedicated follower of protestant ideas and beliefs. The Thurzo’s tombs are also situated here. The castle consists of several palaces and courts. The Thurzo Palace was built by František Thurzo and finished by his son George in the 17th century. There is attractive gallery called Red room or Hunter’s Saloon in the palace. To get to the higher part of the Orava Castle you will have to walk up picturesque wooden staircase as well as narrow draught stairs. At the end you will come into the Corvinius Palace. This late gothic palace was built by Hungarian King Matthias Corvinus. 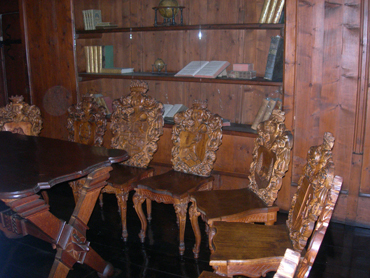 It is full of magnificent rooms for example room with wooden chairs with coat of arms or Knight’s hall and gallery are situated there. The walls are also made of wood. 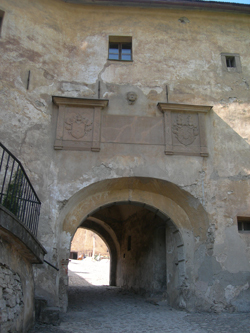 The next palace is The Palace of Jan of Dubovec from 16th century. 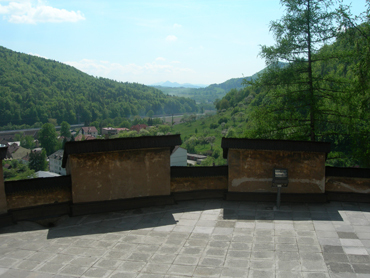 The court, 100 metres above the Orava River, offers interesting views. The highest part of the castle is Citadel where army has its settlement. 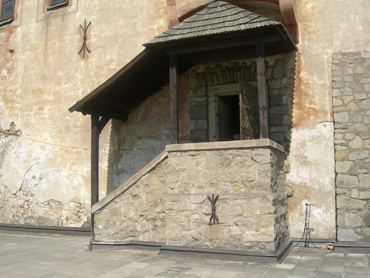 A wooden balcony was built in the honour of Emperor František Jozef. 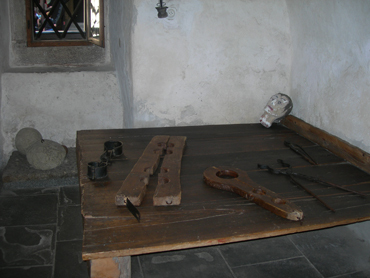 You can find Orava museum exposition in the castle, where among others you can see display of the weapons and swords. There is also ethnography and natural science exposition where you can find animals typical for this region. There are several events in the castle during the year. At Christmas there are Christmas concerts and performances for children and adults. Particularly interesting is Thurzo’s artisan’s marketplace and Haunted fairy-tale castle on 1st June with attractions for children or Mysterious castle. 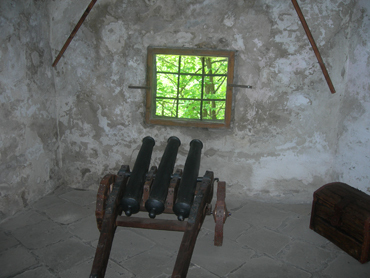 When visiting Orava Castle you can also see fencing and exhibition of castle’s guard. Orava Castle is one of the most beautiful Slovak castles and belongs to the best preserved and most visited castles in Slovakia. 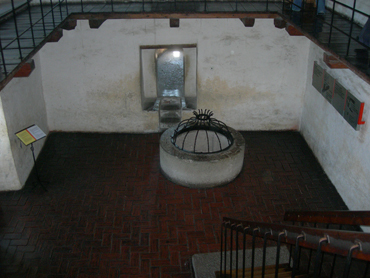 It is Slovak national historical monument. 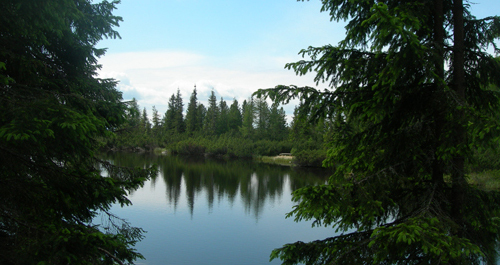 It was often used as filming site for example the fairytale Kráľ Drozdia brada was filmed here. Orava Castle is definitely worth a visit. We certainly recommend visiting this castle. The Orava Castle is open whole year round except for April. As it is located in the North of Slovakia please remember that there is colder weather than in the south or in the east of country. You can find this magnificent and very significant castle in the middle of the village Oravský Podzámok, where it soars 112 metres above the Orava River. You have to buy the tickets before you enter the castle. The ticket office is located under the castle next to exchange office on the little square with restaurants and souvenir shops. Adults pay 140 Slovak crowns / 4.5 euro, children under 6 years can enter for free, students, pensioners and disabled people pay 80 Sk/ 2.5 euro. For using a camera you will be charged 50 Sk/ 1.5 euro and for video camera 100 Sk/ 3 euro. There are two car parks with a fee 50 Sk/ 1.5 euro per day. Both of them are close to the castle so it takes only a few minutes to get there. Most likely you will be required to wait before the entrance. It is due to the castle‘s capacity which allows only certain number of visitors per hour. The time of your entrance will be written on your tickets. Please do not be discouraged by having to wait. 11th Apr - 27th Apr.